By the time you receive this newsletter, many of us will have broken or suspended our 2019 resolutions indefinitely. I am not a big proponent of New Year resolutions since they can be difficult to conquer during the year. Importantly, resolution setbacks can be a roadblock for greater happiness. Instead, I believe prioritizing happiness above all else is a great way to start any New Year since it is the foundation for everything that matters most to you. For many, being happy is contingent on being healthy, wealthy, and wise. And, as it turns out, physical and financial health are often correlated over time. When your financial life or physical health is doing well the other tends to follow. In fact, a survey by TD Bank reported that simply having a financial plan in place made 80% of respondents feel satisfied with their overall health and well-being. The same survey concluded that financial satisfaction increased among those who were satisfied with their physical health, and vice versa. So, what can you do this year to set yourself up for financial success that can lead to greater overall happiness? Here are the three key proven building blocks for achieving a wealthier, and potentially, healthier you in 2019 and beyond. The stock market’s wild and unfathomable swings can serve as electric shocks to our brains, generating excitement one moment and terror the next. Fueling this volatility and emotion is typically the financial media. Many investors nervously follow the stock market tick-by-tick by watching CNBC daily and listening to pundits’ pontifications that try to explain and forecast everything. Try to avoid this at all costs. You don’t need the added stress. The red dots in the graph below indicate when CNBC televises its “Markets In Turmoil!” special report. Like a healthy diet of fruits, vegetables, grains, and protein, a simple and suitable asset allocation of equities, fixed income, and cash can lead to a more transparent, less confusing and effective investment plan. After all, it has been shown that more than 90% of a portfolio’s return is tied to asset allocation. Put another way, less than 10% is related to individual stock picking and market timing in a diversified portfolio. Effective asset allocation is also a healthy pursuit since it helps you maintain a long-term perspective and avoid ill-timed, knee-jerk reactions during wild times in the market. Importantly, an investment portfolio must be periodically rebalanced back to its original targets to maintain the intended risk level and asset allocations (i.e., mix of stocks and bonds). This can be done annually unless risk tolerance changes or market conditions dictate more frequent rebalancing. Often times, portfolio holdings can proliferate over time as investors place funds, stocks, and other investments into the portfolio mix. This also includes individual stock or fund concentration risk where one holding can dominate investment results and, importantly, risk. A cluttered portfolio usually results in an unwieldy, confusing hodgepodge of overlapping investments that don’t work effectively together to meet portfolio objectives. This "di-worse-ifying" vs diversifying effort can cause added costs, stress, confusion, and inertia as you become confused as to how all of the investments fit and work together. Research and actual results continue to show that you do not need many investments beyond the healthy portion-controlled mix of traditional stock, bond and cash mix to achieve effective diversification. Once this is achieved, you can then focus attention on the asset allocation periodically while continuing your media fast. 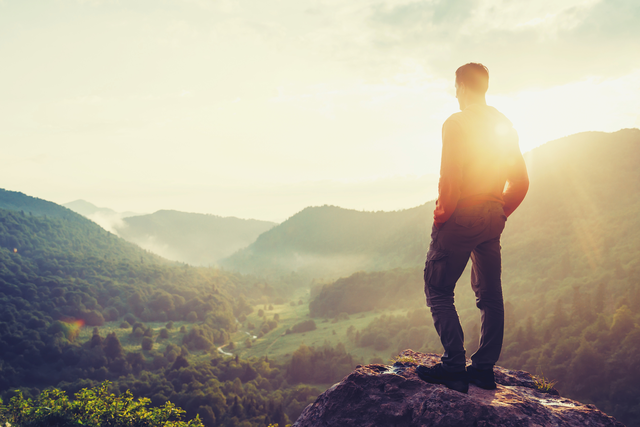 By setting and periodically following these three simple healthy investing tasks, you can knock out a huge step toward greater financial confidence and, therefore, less investing stress over time. These simple tasks should be assessed and rebalanced at least annually and they can go a long way in getting your investing house in order.